SAN DIEGO - The U.S. Navy will join allied and partner nation forces for the 11th Pacific Partnership mission, scheduled to begin May 11. This annual maritime operation will help improve disaster response preparedness while enhancing partnerships with participating nations throughout the Indo-Asia-Pacific region. Pacific Partnership is the largest annual multilateral humanitarian assistance and disaster relief preparedness mission conducted in the Indo-Asia-Pacific. This year's mission will be led by Commander, Destroyer Squadron (DESRON) 23, embarked on the hospital ship USNS Mercy (T-AH 19), and will include more than 600 military and civilian personnel from the U.S., Australia, New Zealand, Canada, the United Kingdom, Malaysia, Singapore, Republic of Korea and Japan. Indonesia, Timor Leste, Malaysia, the Republic of the Philippines, and Vietnam are all scheduled to host this year’s Pacific Partnership mission. Japan will also lead a mission to Palau. Medical, dental, civil-engineering, and veterinary teams will partner with each host nation to conduct civic-action projects, community health exchanges, medical symposiums, and humanitarian and disaster relief (HA/DR) drills. 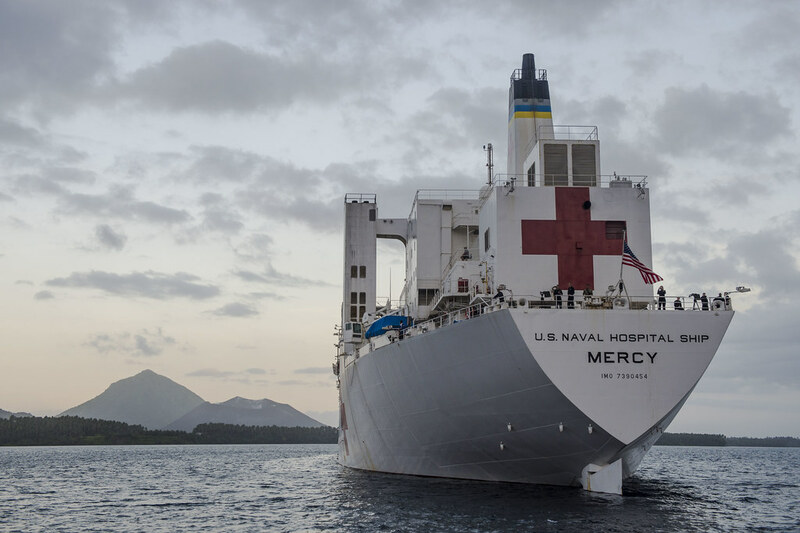 Engagements between Pacific Partnership participants and host nations are intended to improve capacity, enhance regional partnerships, and increase multilateral cooperation for HA/DR preparedness. Pacific Partnership began in response to one of the world’s most catastrophic natural disasters, the December 2004 tsunami that devastated parts of Southeast Asia. The mission has evolved over the years from primarily a direct care mission to an operation focused on enhancing partnerships through host nation subject matter expert and civil-military exchanges. A multinational command-and-control structure will be used to include a deputy mission commander from the Australian Defense Force and a mission chief of staff from the New Zealand Defense Force. The visit by Mercy to Vietnam is in conjunction with the 21st anniversary of the normalization of diplomatic relations between the United States and Vietnam. Along with events such as the recently completed Naval Engagement Activity (NEA) maritime collaboration, Pacific Partnership underscores the deepening relationship between the United States and Vietnam. Pacific Partnership will capitalize on the Women Peace and Security program, an international initiative designed not only to empower women, but to demonstrate that they are included in the planning and implementation of disaster preparedness and relief efforts of their respective countries. This year’s mission will return to Timor Leste, where the U.S. continues to strengthen ties and cooperation with one of the world’s newest nations.